Home > Inventory > How do I use the external cart? Q.How do I use the external cart? 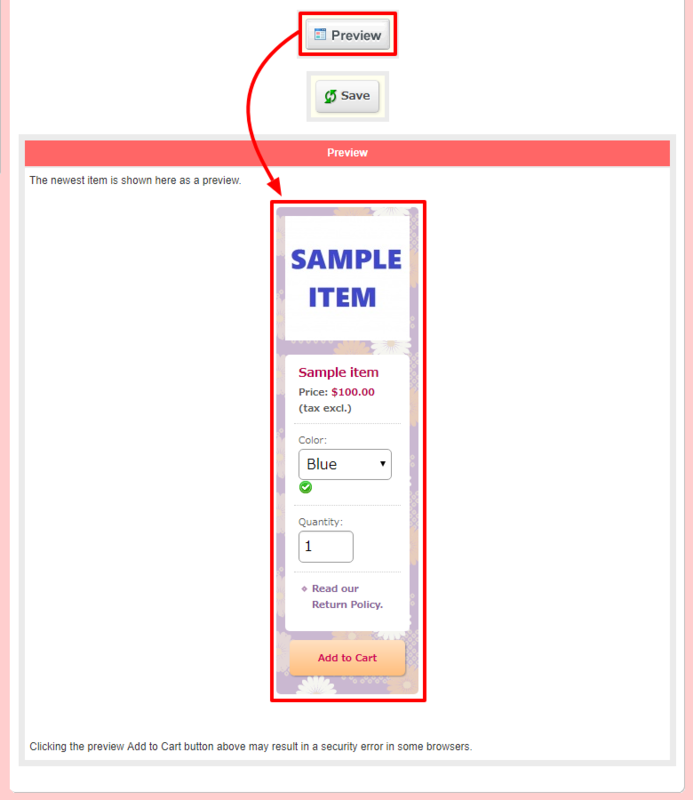 With the external cart, you can place banners on external webpages linking to items in your store. Global external cart settings can be found by navigating to Inventory → External cart settings. Click the (Preview) button to display an example of an external cart with the selected settings. The Shop name link setting in the Cart page section configures the link in the shop banner at the top left of the cart page, after clicking on the Add to Cart button. To find the external cart link for an item, navigate to Inventory → Item list. 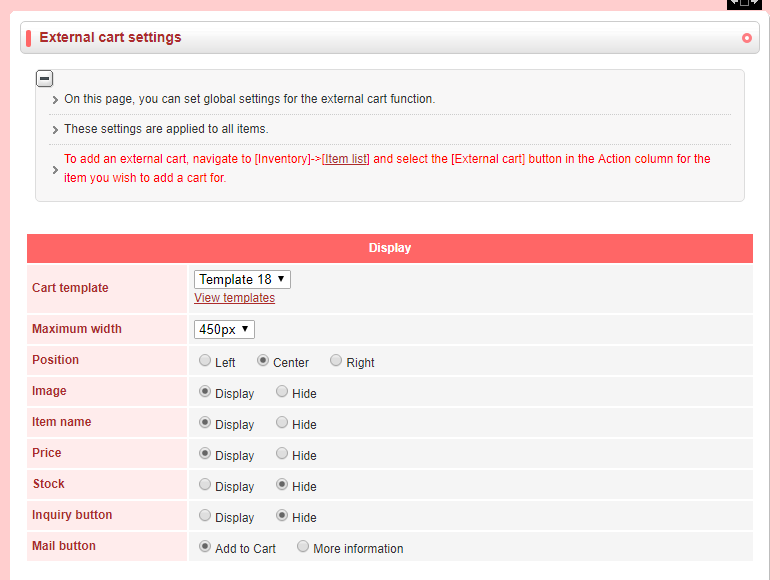 Click on the (External cart) button in the Action column for the item you wish to create an external cart for. Here again you have the option to configure displayed and hidden elements. The settings on this page are for this item only. Once you have configured the cart for this item as you desire, click (Generate code), then copy the text in the Copy code box and paste it on your blog or website. Once a code has been copied, editing the settings will not change how it is displayed.